American musician Tom Petty died on October 2nd, 2017 in California aged 66, says a statement issued on behalf of his family. Petty was found unconscious, not breathing and in full cardiac arrest at his Malibu home early on Monday. He was taken to hospital, but could not be revived and died later that evening. Petty was best known as the lead singer of Tom Petty and The Heartbreakers rock band, producing such hits as American Girl, Breakdown, Free Fallin’, Learning to Fly and Refugee. “He died peacefully at 20.40 Pacific time (03.40 GMT Tuesday) surrounded by family, his bandmates and friends,” said his long-time manager Tony Dimitriades. Petty and the band were on the forefront of the heartland rock movement, alongside artists such as Bruce Springsteen and Bob Seger. The genre eschews the synthesizer-based music and fashion elements. 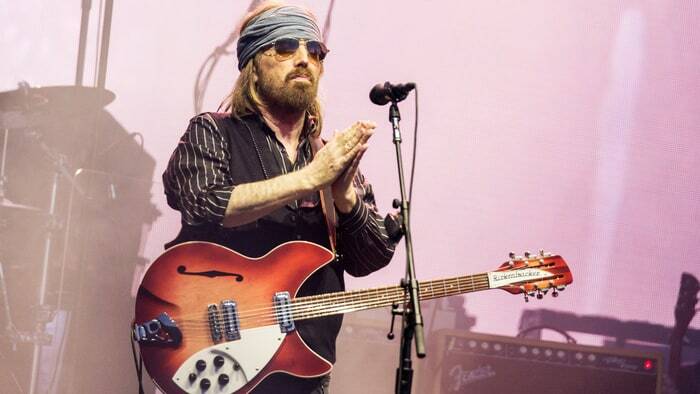 Petty was also a co-founder of the Traveling Wilburys group in the late 1980s, touring with Bob Dylan, Roy Orbison, Jeff Lynne and George Harrison. “It’s shocking, crushing news,” said Dylan, according to the Los Angeles Times. “I thought the world of Tom. He was great performer, full of the light, a friend, and I’ll never forget him.” Petty also found solo success in 1989 with his album Full Moon Fever, which featured one of his most popular songs Free Fallin’, co-written with Jeff Lynne. In 2002, Petty was inducted into the Rock and Roll Hall of Fame. Tom Petty and the Heartbreakers The Record Plant, Sausalito April 23, 1977. Very good to excellent WXRT FM broadcast. Originally broadcast over KSAN Radio. With Byrd’s riffs and Stones swagger, Tom Petty & The Heartbreakers burst onto the scene in ’76 blending British invasion, US garage rock with the urgency & vibrancy of current new wave bands. This is one of their earliest radio shows broadcast by KSAN-FM from the Record Plant, Sausalito on April 23rd 1977. Captures the band ripping through their current set in front of a small audience in remastered sound quality. Original performance on LP (“Tearjerker” bootleg) . Petty’s breakthrough album plays like his most genuine slice of rock ‘n’ roll – probably because his two earlier albums didn’t do much, and that hunger drips through nearly every single groove. ‘Damn the Torpedoes’ heads straight into a world where Byrds-ian folk-rock collides with heartland-sized riffs. Tom Petty and the Heartbreakers never hit the brakes. Not long after You’re Gonna Get It, Tom Petty & the Heartbreakers’ label, Shelter Records, was sold to MCA Records. Petty struggled to free himself from the major label, eventually sending himself into bankruptcy. He settled with MCA and set to work on his third album, digging out some old Mudcrutch numbers and quickly writing new songs. 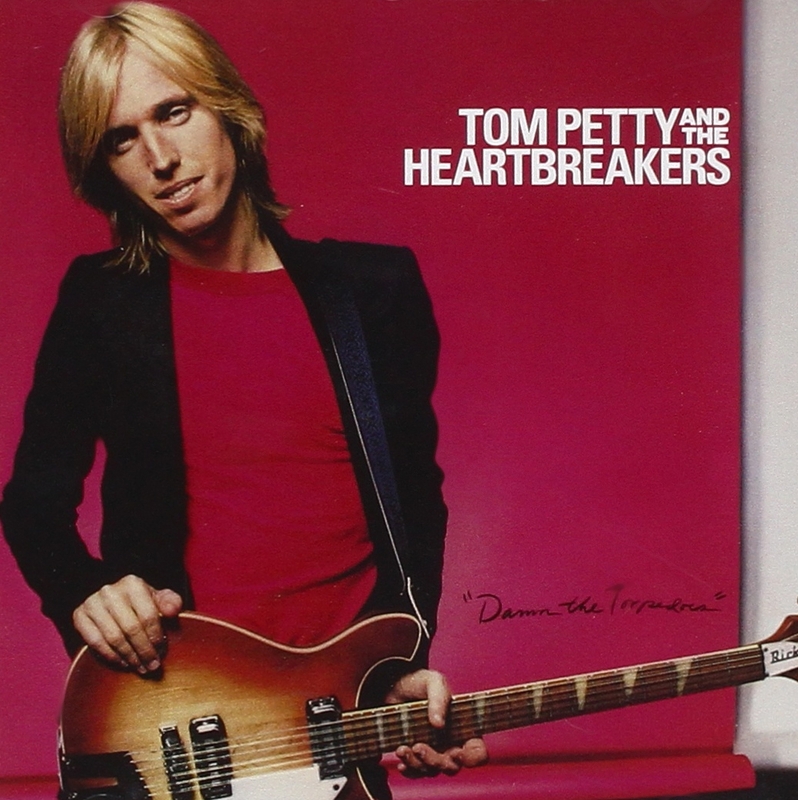 Amazingly, through all the frustration and anguish, Petty & the Heartbreakers delivered their breakthrough and arguably their masterpiece with the album Damn the Torpedoes. Musically, it follows through on the promise of their first two albums, offering a tough, streamlined fusion of the Stones and Byrds that, thanks to Jimmy Iovine’s clean production, sounded utterly modern yet timeless. It helped that the Heartbreakers had turned into a tighter, muscular outfit, reminiscent of, well, the Stones in their prime — all of the parts combine into a powerful, distinctive sound capable of all sorts of subtle variations. Their musical suppleness helps bring out the soul in Petty’s impressive set of songs. He had written a few classics before like “American Girl,” “Listen to Her Heart” — but here his songwriting truly blossoms. Most of the songs have a deep melancholy undercurrent — the tough “Here Comes My Girl” and “Even the Losers” have tender hearts; the infectious “Don’t Do Me Like That” masks a painful relationship; “Refugee” is a scornful, blistering rocker; “Louisiana Rain” is a tear-jerking ballad. Yet there are purpose and passion behind the performances that makes Damn the Torpedoes an invigorating listen all the same. Few mainstream rock albums of the late ’70s and early ’80s were quite as strong as this, and it still stands as one of the great records of the album rock era. Four songs into his set Tuesday night at Bridgestone Arena, Tom Petty announced that the band’s next song had not been played live in more than a decade. And with that, Petty and the Heartbreakers kicked into “You Got Lucky,” an ominous masterpiece of a song that elicited a chorus of “hell yeah”s when the minor chords of Benmont Tench’s synthesizer blasted through the speakers. It was a testament to Petty’s seemingly bottomless repertoire of songs that he could dust off a song like that willy-nilly and still have it be an anthemic arena sing-a-long. With the exception of the opening number, “Rockin’ Around (With You)” the first song on the first Heartbreakers record — and a few other cuts, Tuesday night’s show was heavy on the hits, despite the tour being billed as a celebration of that album’s 40th anniversary. It was also one of the more raucous and engaged crowds this writer has ever seen at Bridgestone. When Petty played Bonnaroo back in 2013, his set was borderline lethargic, and perhaps that was intentional, given the stoner vibe of the festival. 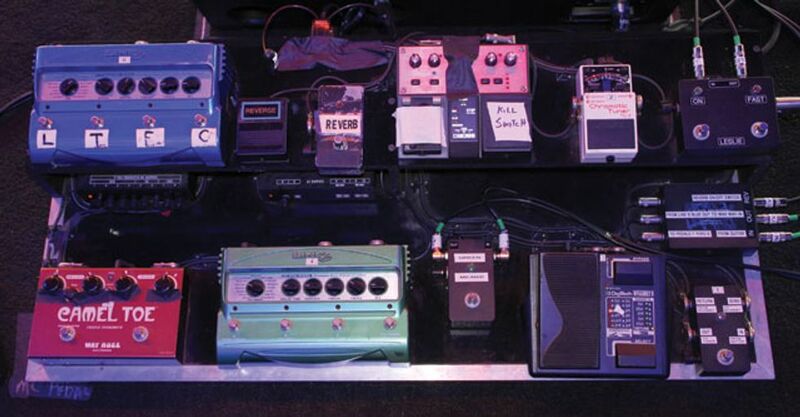 But Tuesday night’s show stood in defiant counterpoint to that. And the crowd, which spanned several generations, responded in kind. Around the front of the stage, in the not-so-cheap seats, one could find a who’s who of Nashville-based musicians, including Robyn Hitchcock and Wilco’s Pat Sansone. 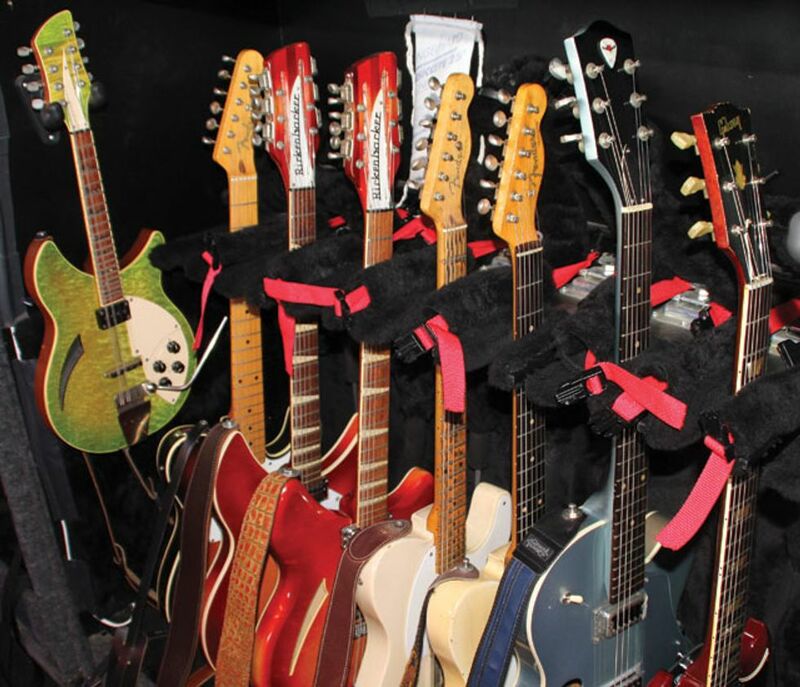 Petty even remarked at one point that if you’re not a guitar player in Nashville, you’re a songwriter. But for the most part, the 66-year-old kept the stage banter to a relative minimum. Indeed, it seemed at times that the sold-out crowd knew every word to every song. And it was remarkable to consider just how well these songs have aged through the years. So many of these classic Petty cuts seem to exist in the ether, and the very idea of a world without his music is hard to fathom. Tom Petty’s voice is raspier than it was in his heyday, but it still gets the job done. And the Heartbreakers, led by guitarist Mike Campbell, who these days resembles a dread-locked Captain Jack Sparrow, never break stride. It’s easy to see why Rick Rubin has long called them the best rock and roll band in the world. 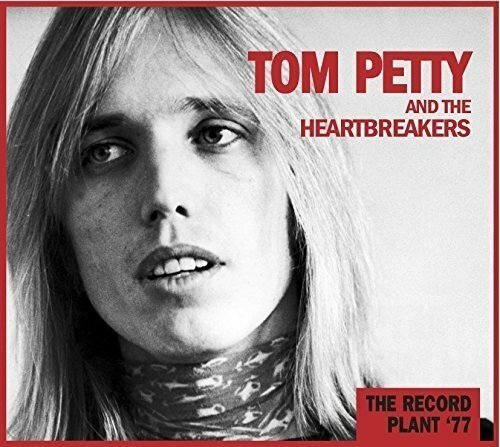 When Petty and the Heartbreakers released their debut back in ’76, some critics dismissed them as a “nostalgic” act. How wrong they were. The final track of that debut album, and the final song of the night, “American Girl,” still crackles with thunder, sounding as fresh and vital as the day it was released. Most Tom Petty fans thought they would never see one Mudcrutch album, let alone two. 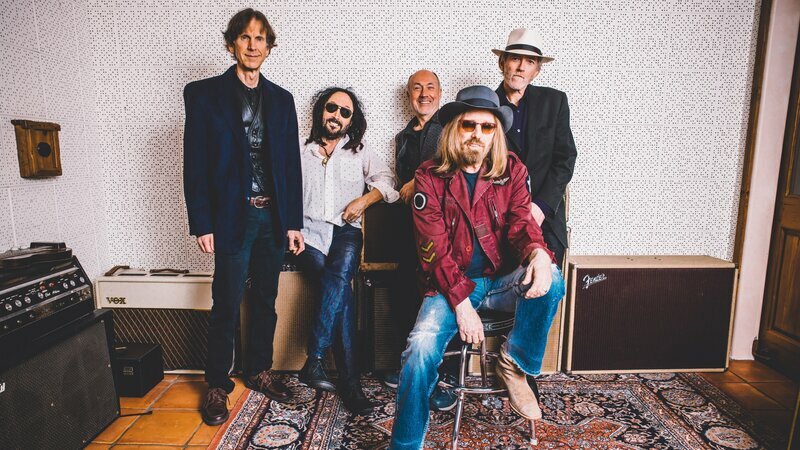 Tom Petty has reconvened his early band Mudcrutch – Petty, Benmont Tench, Mike Campbell, Tom Leadon and Randall Marsh – for a second set of rootsy country-rockers. 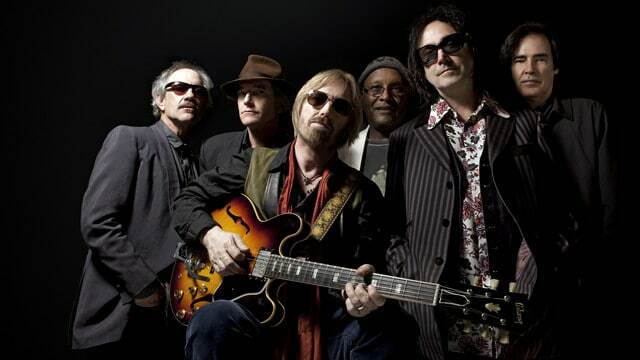 The album includes seven originals written by Tom Petty, with his bandmates each composing one track. To catch everyone up on Heartbreakers’ trivia, the backstory goes that in 1974, a scraggly Florida outfit with the unwieldy name of Mudcrutch —bassist/singer/songwriter Petty along with keyboardist Benmont Tench, Tom Leadon and Mike Campbell on guitars and drummer Randall Marsh — headed to L.A. to find fame and fortune. They recorded a few tunes and soon disbanded. But since Petty was signed to the Shelter label, he kept Tench and Campbell added new members and the Heartbreakers was born. In 2008, Petty unexpectedly revived the name, brought back Leadon and Marsh from obscurity and released what became Mudcrutch’s belated debut. That disc’s loose-limbed yet winning mix of covers and originals was a little looser and more rootsy than Petty’s typical fare and even though he was clearly the frontman, Tench and Leaden took a few lead vocals. Eight years and two Heartbreakers albums later, Petty gives the venture another go-round, now booking a tour to support it. This one ups the energy a few notches, especially on the pounding garage pulsing “Hope” which, with its cheesy Farfisa organ sounds like a pretty good Standells B-side. Tench takes another vocal turn on the dryly humorous boogie-woogie “Welcome to Hell” and guitarist Campbell gets a rare chance to sing on his lone writing contribution, the chugging “Victim of Circumstance,” finding ground somewhere between Petty and Creedence Clearwater Revival. Even drummer Marsh takes a frontman status on his perfectly acceptable “Beautiful World,” proving himself both a respectable singer and capable of churning out at least one solid pop-rocker. Not surprisingly Petty contributes the bulk of the material — this disc is all originals — with seven new tunes (out of 11), all of them up to the high standards he has set for himself throughout his stellar 40-and-counting year career. Even Tom Petty experts would have trouble telling the first three tracks aren’t new Tom Petty & the Heartbreakers tunes since they ride that well established sweet spot between chiming Byrds-influenced rocking and impossible to resist choruses. That’s particularly true of “Dreams of Flying,” a mid-tempo nugget every bit as good as his best work. The closing six minute “Hungry No More” is this album’s epic answer to the debut’s sprawling 9 minute “Crystal River,” giving Campbell and Leadon room to weave their guitars around a strummy, emotionally laced Petty ballad that incorporates a bit of a psychedelic vibe, not something you’d likely hear in a set from his full time ensemble. As usual, Petty makes it seem easy. 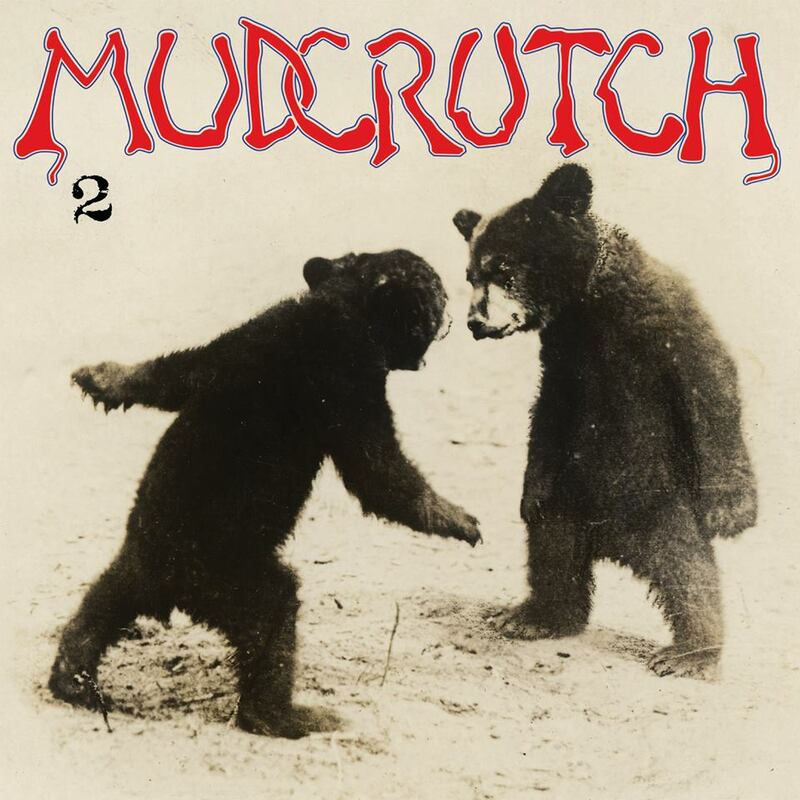 And with help from his fellow Mudcrutchers, the unassumingly titled 2 is proof that even Tom Petty’s modest side projects are better and more compelling than many acts at their best. The charity event Merry Minstrel Musical Circus usually an event in December at the Troubadour. 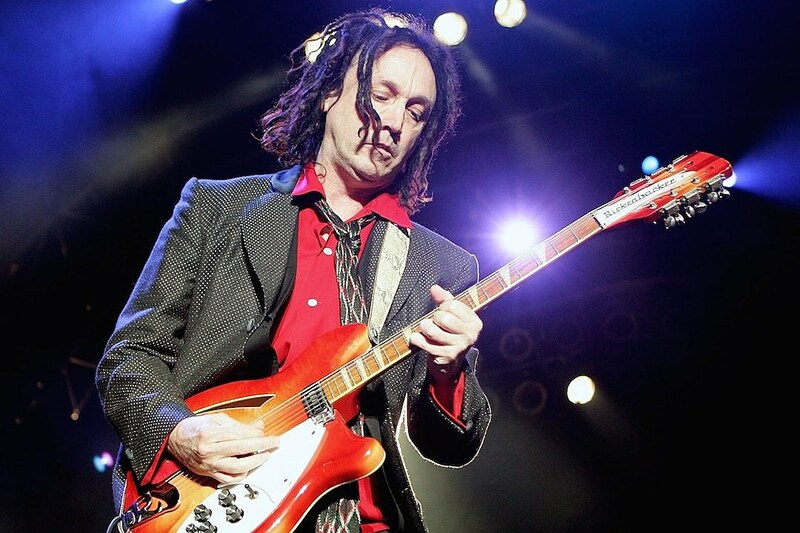 We’ll again be hosting in conjunction with our good friend Mike Campbell (Tom Petty and the Heartbreakers). 100% of proceeds will go to benefit music programs in the LA Unified Public Schools and Tazzy Animal Rescue Fund. Special guests will be announced over the coming weeks. On behalf of Mike Campbell (Tom Petty and the Heartbreakers), everyone else involved, everyone who came out & supported these 2 great causes for this year’s Merry Minstrel Musical Circus. And a special thanks to the Troubadour & all our special guests – John Fogerty,Jackson Browne, Conor Oberst, Laura Marling,Benmont Tench, Scott Thurston, Steve Ferrone, Jim Keltner, Sara Watkins, Sean Watkins, The Haden Triplets, etc. It was another very special night. 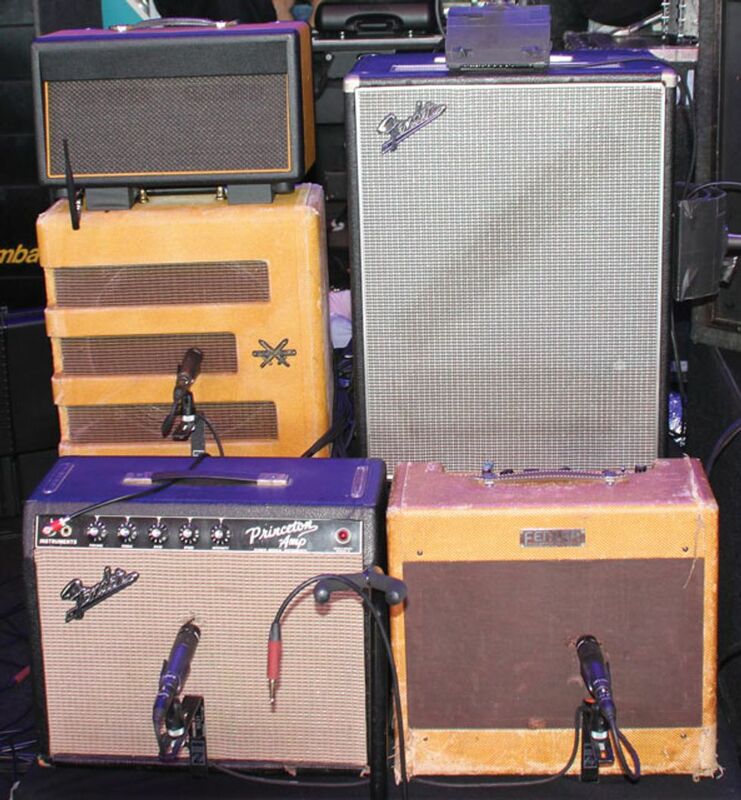 Last December Jonathan Wilson hosted the first annual “Merry Minstrel Musical Circus” at the Troubadour in Los Angeles, which featured an all-star cast of special guests that included Mike Campbell, Jackson Browne, Bob Weir and Jeff Lynne. Wilson will reprise the “Merry Minstrel Musical Circus,” which has the subtitle “A Holiday Gathering And Jamathon,” on December 20th at the Troubadour.